Thank you Windy for the kind feed back and testimony after joining our walking tour. 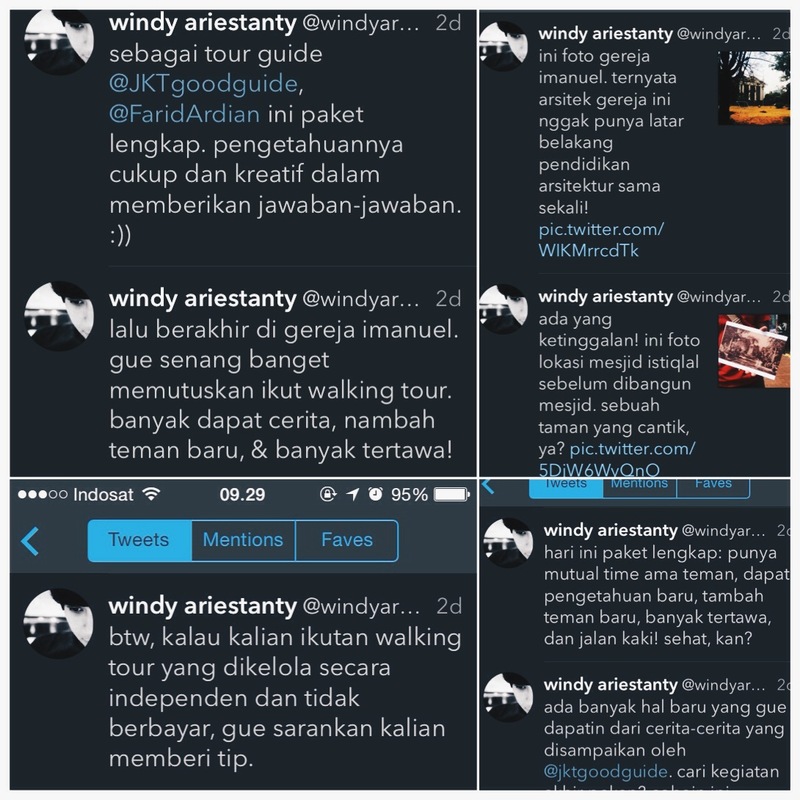 What Windy wrote on her timeline after joining the walking tour. The (too) kind feedback from Edwina. Thanks a lot for the appreciation. 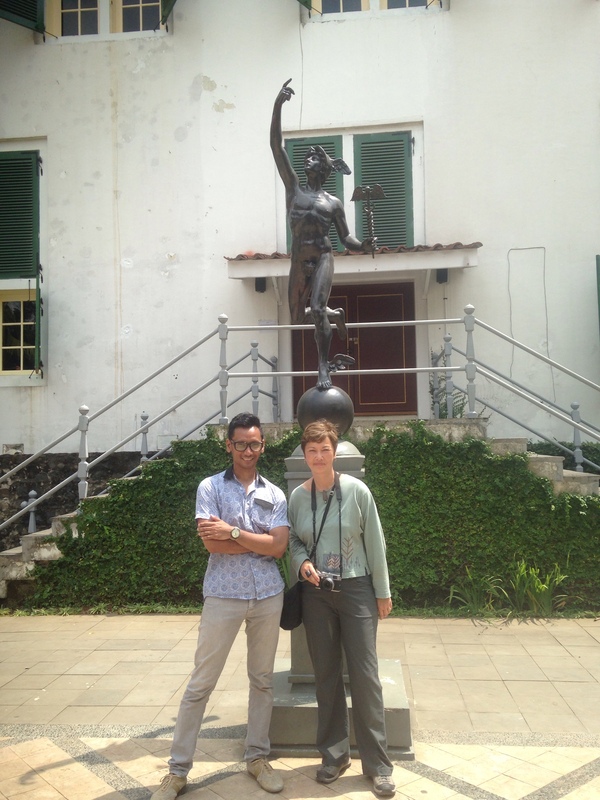 Jakarta Walking Tour in front of the important buildings in the city, the Court of Constitution. 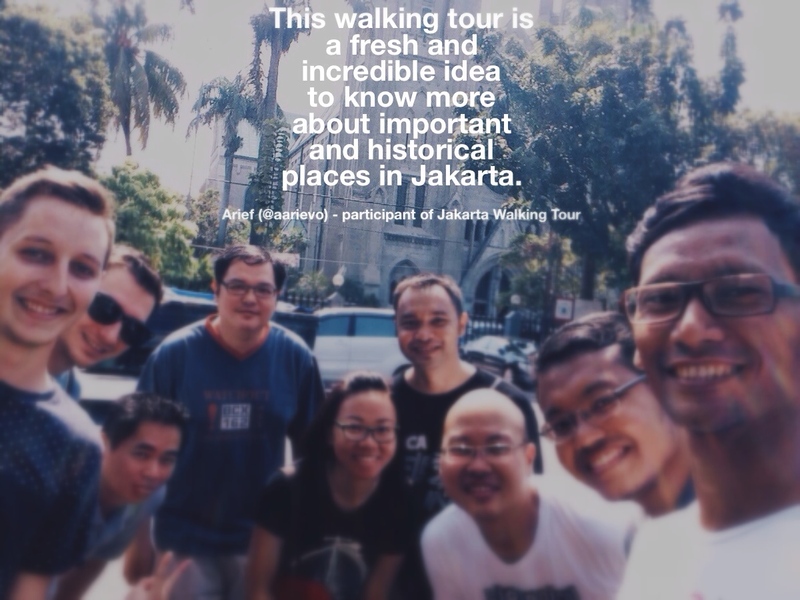 Arief joined our Jakarta Walking Tour on Sunday, Sept 14th 2014. 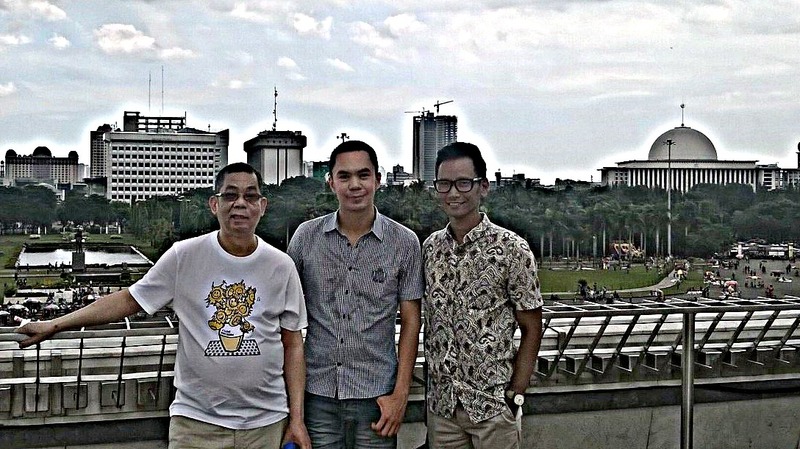 Farid is the most genuine guide in Jakarta that you could meet. He was knowledgeable, amiable and courteous throughout. Bird’s nest was on our shopping list, and we appreciated Farid’s recommendation of a specialist store where we bought the delicacy. Surprisingly, Farid politely declined my offer of a tip (in thanks for a wonderful tour); he clearly enjoys meeting new people and getting to know them, whilst taking pride in sharing his home city. 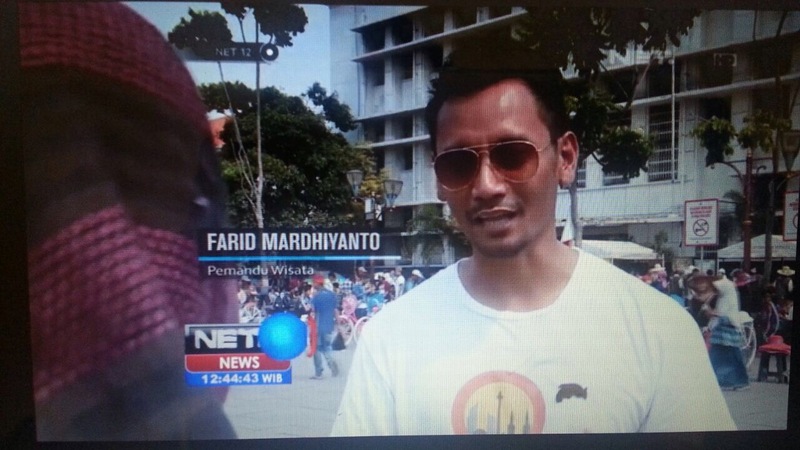 Thanks very much, Farid! Testimony taken from toursbylocals website. Farid and his driver and friend Candha picked us up at Jakarta Airport early in the morning, and were most enjoyable company visiting the signature sights of Jakarta, including the Old Town and working port, Batavia and the history museum, MONAS and the Grand Mosque. We really enjoyed talking with them. Farid is charming, speaks English perfectly and it was fun learning about his life in Jakarta and work as a radio announcer. 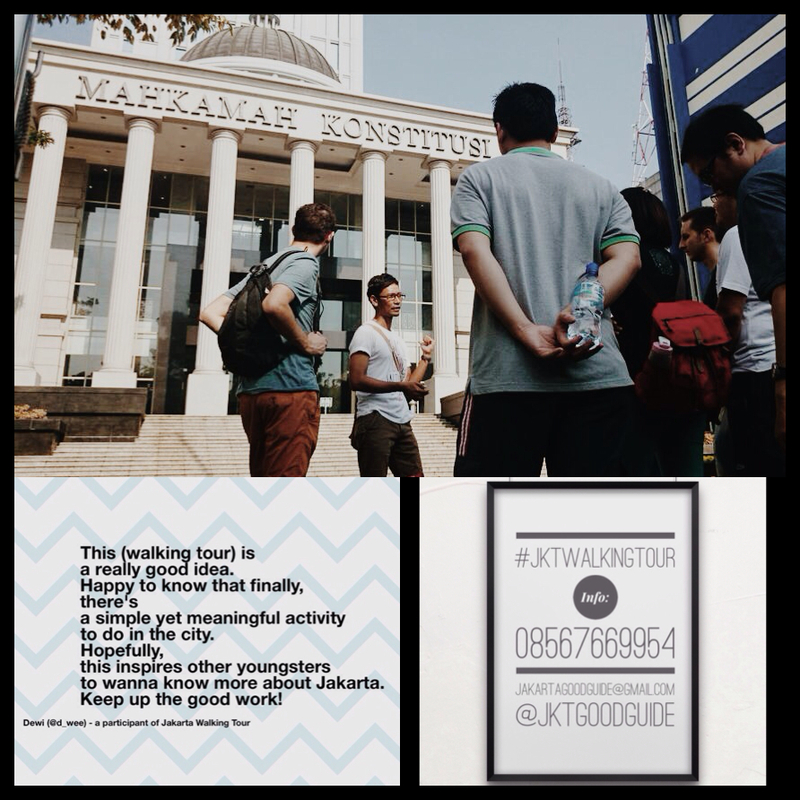 Both of these young men are ideal ambassadors for Jakarta. Oh, and the statue of Hermes at the background.